Water Sprites are one of the most common aquarium plants. The bright blades of this plant make it a beautiful addition to the mid, or background, of freshwater tanks. Because these plants can be both planted or floating, all levels of aquarists can have and enjoy them. They provide you with plenty of shade for your tank and give shy fish a place to hide when threatened. Freshwater communities will love having these plants around for the cover they provide; this is also an ideal place to lay eggs for some species of fish. They work well with other species of plants such as the Anacharis where the roots will wrap around the stem of the Anacharis and create a great effect. Should You Plant or Float Water Sprites? Water Sprites come from the family Pteridaceae. They come in a bright green color which gives your tank a full and lush appearance. Adding this plant is a great choice for freshwater community tanks. Something else that is interesting about these little plants is that they have been used in genetic research and other studies. They have such a short germination period which makes it easy for scientists to see the results of any experiment they want to carry out. Use this plant to bring some color to your tank as well as giving shade. Not only will your community fish thank you, but you won’t need to clean your tank as much either. The shade that this plant provides is important for keeping algae at bay, which means less cleaning for you in the long run. Water Sprite is green in color, the stem usually being a darker green than the leaves. Growing with a central stem, the leaves extend in a finger like pattern. Given the right conditions, this plant can become an elaborate tangle of stems, leaves and roots if floating. They normally grow to just over one foot in length. The leaves resemble their land relatives and look like a typical fern; they fan out from the stem and create interesting patterns once they begin to overlap as the plant becomes larger. If given the space, the plant will grow out of the tank (much like it would in its native habitat). They also have long roots which they can either use as holds in the ground or be free floating. Make sure your plant has long roots; this indicates a healthy plant. When you’re buying Water Sprite, another thing to look at is their color. The leaves and stem should be green and any color other than this, especially in the leaves, could mean something is wrong. A yellow or brown color is an example that something is wrong with the plant or the tank conditions. 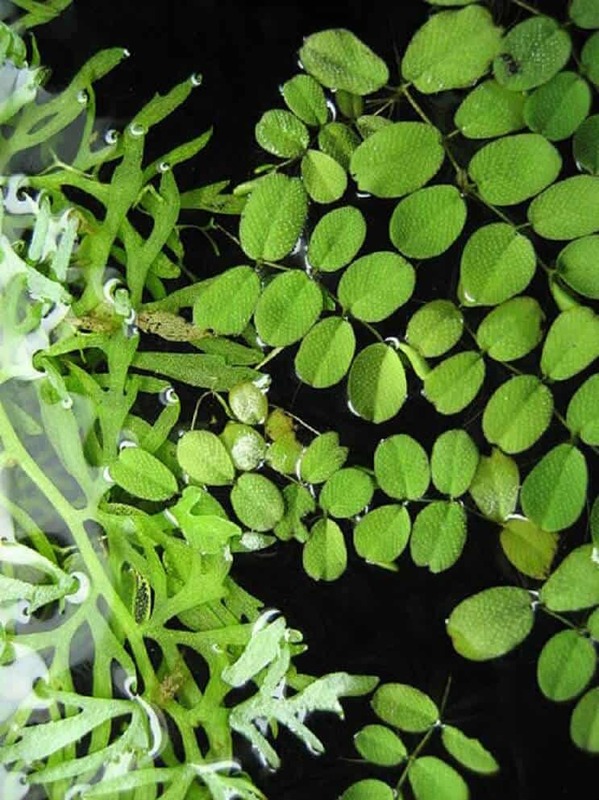 Sold under many names including Water Fern and Indian Fern, it is important to know exactly what you are looking for when buying Water Sprite. The most important thing to know is what not to buy. Nothing is worse than going home with a sick or injured plant for it to then die a few days later. Make sure to only buy plants that are green in color and can support their own weight by standing upright. Color is a good indication if the plant is healthy or not. The leaves will change color and be more of a yellow to brown shade. The leaves should be fern-like and numerous with no holes, tears or cuts. The stems of the plant may be slightly darker in color and that is totally normal. You should also check that the roots of the plant are long and numerous. This plant is very common and you will be able to buy it from most aquarium stores. The nice thing about them too is that they range in price from just a few dollars to around $10 for larger, more established plants. Once you’ve purchased your plant, you’ll need to make sure you’re placing it in the right water conditions to help it thrive. Water Sprite are native to wetlands and swamps, meaning they grow wherever they can. Due to how fast they grow, they can be found in moderately deep water. In the wild, water movement is low, which complements their delicate leaves nicely. They grow in areas with high light and use that to outgrow their competition. To replicate their natural environment in your tank, make sure to keep your plants away from direct water flow. This plant is delicate and the direct flow can cause damage. Make sure that you inspect your plant during each water change to ensure that you have a healthy plant in your tank. The leaves should be a nice shade of green and there should not be any damage. Also remember to look at the roots if possible; check they are long and that there are plenty of them. Maintaining Water Sprite is fairly hands off. The biggest thing you will have to pay attention to is its size. If it takes up too much space, then it is important you trim some of the outer stems. Ensure that you are not cutting the main stem (the one protruding directly from the roots), as that will harm the plant and may cause it to die. Also keep in mind that the stems you cut must be removed from the tank. If not, they will begin to form roots and grow into a new plant. These plants grow at a fast pace and they will need the nutrients to match. When they are first introduced, they may even cause a nutrient deficiency as they are taking up so much nitrogen, phosphorus and potassium. In order to prevent this, add supplements. Powder or liquid options are available and either will work just fine. Water Sprites can be planted or left to float. Each of these growing methods have their advantages. Floating plants add a lot of color at the surface of your tank; they also tend to have larger leaves as they are closer to the light. Their roots will grow long, thin and fine as they must soak up nutrients from the water itself; these roots provide a great place for shrimp and other creatures to hide and feed. One of the biggest advantages a floating plant gives is the ability to create shade. Shade is important for lots of aquatic plants and helps to keep the algae levels down. 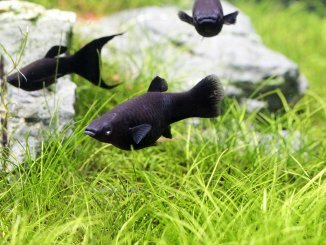 If you are struggling with algae in your tank or have an algae bloom, then think about adding these plants to your aquarium. The other way to keep these plants in your tank is to plant them. Planting them lets you decide the precise placement of the plant itself, whereas with floating plants you don’t. When deciding where to plant it, make sure you give your plant enough room to grow and that it will not be overcrowded. If you are trying to decide whether to plant or float, think about what you are trying to achieve. Floating your plant gives other plants some shade and adds some general color and activity in your tank. However, if you are trying to fill an exact place in your tank or want a specific look for your plant, you should plant it. In order to plant your Water Sprite, start with 2 or 3 inches of substrate (gravel or sand). Dig a small hole in the gravel and place your plant into it. Cover the roots completely, and slightly cover the base of the stem; it should just barely be visible. You can get away with pretty much any substrate due to how hardy this plant is. However, it is better to keep live aquarium plants in nutrient rich plant substrate as opposed to aquarium gravel. This plant is excellent in the mid to background of your tank. Just make sure that you are not planting it in a direct water flow as this can damage the leaves. This plant will do well in most community tanks. Fish, other plants and invertebrates will all benefit from having Water Sprite in the aquarium. As discussed about above, one of the benefits of this plant is the shade that it creates. 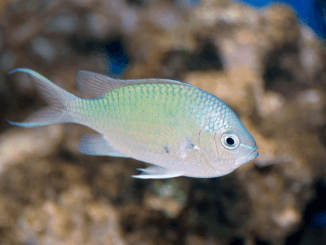 This means that shy fish such as Cherry Barbs, will be able to feel more at home in your tank. Water Sprites also make great additions for shrimp. Their fine leaves means that food and other particles may be caught in the leaves where the shrimp can eat them. It is important to stay away from Cichlids and Goldfish as they will eat this plant, leaving you with nothing to look at or enjoy. Also, if you have snails in your tank that are under fed, they may start eating the Water Sprite. It is hard to go wrong with this plant if you have a community tank. They even work extremely well with other plants like Anacharis, Hornwort, or Java Fern. Water Sprites will reproduce quickly in the right conditions. The main way they reproduce is through adventitious shoots. This means that small plantlets will form from the plant and then break off. These plants that break off will be ready to plant themselves without help in the substrate or water column and grow quickly. Biologically this is an advantage because it allows for a single parent to make many offspring in an area that is full of nutrients. However, this can become a problem due to overcrowding. If you are not looking for your plant to reproduce, then make sure to remove plantlets. Water Sprite can also reproduce a second way. If part of the stem is severed with enough leaves, then it can start to grow roots and become a functional plant. Make sure the cuttings are a few inches with plenty of leaves in order to make a separate plant. This is a good way to add more plants if you only have one large one in your tank. The main thing to think about if you are looking to propagate is how much space you have in your tank. Water Sprite grows at a fast rate and multiple plants all growing will take up not only space but resources. Your tank only has so many resources including food and carbon dioxide. Larger tanks will feel the effects of overcrowding slower, but it will happen. Therefore, it is important to remove excess plants and even add nitrogen supplements into the water. If you want to add in nitrogen, make sure your tank is set up to take the extra nutrients. Adding too much could lead to bacteria and that may end with your plants becoming sick. 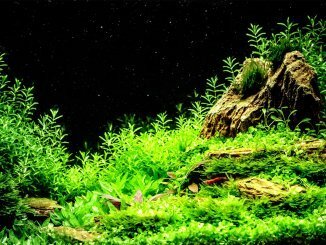 Not having plants in your community tank is one of the biggest mistakes people make. Water Sprites, or other plants, should be a top priority. Not only are these beautiful additions to your tank, but they do so much to help keep your community healthy. From cleaning the water, to providing shade, to giving homes and hiding spots to shy fish, these plants will do everything you need. They are extremely hardy and will grow at a fast rate. This means the plant is easy to care for and will do most of the work on its own.